Free delivery within Christchurch – Monday to Friday. We only deliver; sorry no pick ups from our yard. Our payment term are cheque, cash or internet banking. A $10 delivery fee applies only for deliveries to Kaiapoi and nearby rural areas that are less than 9m³ (ie West Melton, Rolleston, Prebbleton, Lincoln, Burnham). A $20 delivery fee applies only to hill suburbs and delivery size must be 6m³. A $20 delivery fee applies for Saturday deliveries. The above delivery fees are per delivery; not per 3m³. Conditions may apply to 3m³deliveries to Kaiapoi and nearby rural areas – please enquire. 12m³ deliveries are possible. Please enquire. Logburner Mix – Half Old Man Pine and half Oregon. Start the fire with the Old Man Pine and then use the Oregon to keep the fire burning longer. Old Man Pine burns longer than normal plantation Pine. 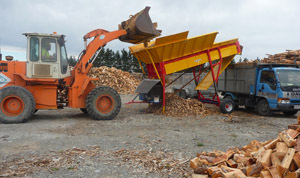 Oregon – A great all round wood that you can start a fire with, split into kindling easily and produce a great cosy heat. Premium Mix – Half Oregon and half Blue Gum. Start your fire with Oregon and then use the Blue Gum to produce the longer lasting heat. 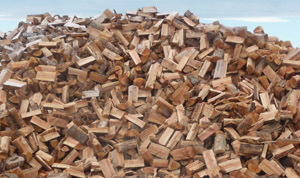 ETHOS wood is cut shorter in its width and length than our standard wood and is designed to fit in ETHOS Logburners, small Ultra Low Emission Burners and other smaller than average logburners. The ETHOS Logburner Mix is half ETHOS Larch and half ETHOS Old Man Pine and the ETHOS Premium Mix is half ETHOS Larch and half ETHOS Blue Gum. Larch is a very similar wood to Oregon. Start your fire using kindling. We have kindling at $8.00 per bag or reduced to $7.00 a bag if you buy 8 or more bags. Great if you don’t like or don’t have time to cut kindling. 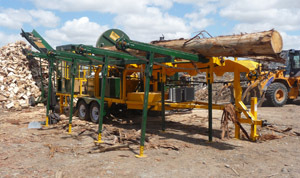 All our wood is cut to 31-34cm in length except ETHOS/XEOOS wood. ETHOS/XEOOS wood is cut to 28 to 31cm in length and appx 20-23cm in width for ETHOS and XEOOS woodburners and other logburners with small fireboxes.